Philip Sawyers http://philipsawyers.co.uk was born in London in 1951 and attended Dartington College of Arts in Devon, studying violin with Colin Sauer and composition with Helen Glatz, herself a pupil of Vaughan Williams and Bartok. He later studied at the Guildhall School of Music in London with Joan Spencer and Max Rostal (violin), and received compositional guidance from Buxton Orr, Patric Standford and Edmund Rubbra. 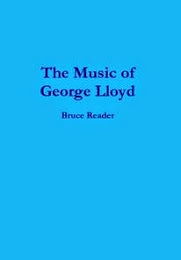 In 1973, Sawyers joined the Royal Opera House Orchestra, Covent Garden, whilst also freelancing with other orchestras and chamber groups including the London Symphony Orchestra, the English National Opera Orchestra and Bournemouth Symphony Orchestra. He also undertook teaching and coaching, including violin coach for the Kent County Youth Orchestra. In 1997, he left the ROH, and undertook a year of postgraduate study at Goldsmith’s College, University of London. Alongside composing, Sawyers now works as a freelance violinist, teacher, adjudicator and examiner for the Associated Board of the Royal Schools of Music. 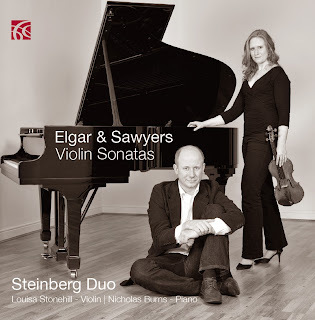 Now Nimbus Allliance www.wyastone.co.uk have released Sawyers’ two violin sonatas coupled with Elgar’s late Violin Sonata all performed by the Steinberg Duo www.steinbergduo.com with Louisa Stonehill (violin) and Nicholas Burns (piano). Philip Sawyer’s Violin Sonata No.1 (1969) is an early work that nevertheless shows considerable compositional skills. The Allegro opens with what appears to be a gentle melody but almost immediately turns into a passionate theme with some fine playing from Louisa Stonehill as she weaves a lovely theme around the piano, at times quiet and melancholy, them stridently passionate in this fine movement, so tonally free yet melodic. There is a haunting feel to the Andante with its dark melody occasionally rising to a stormier nature. One can hear in this movement the dark textures that show that it had its roots in a work for viola. The violin develops an increasingly passionate line against the piano until quietening as it runs straight into the energetic Allegro scherzando. Occasional quiet passages with pizzicato violin give way to the ongoing energetic nature of this attractive movement, brilliantly played by both these artists. This was an exceptionally fine achievement for the 18 year old composer and which sits well against the other works on this disc. Dating from some forty two years after the first sonata and written for the Steinberg Duo, Philip Sawyer’s Violin Sonata No.2 (2011) has a remarkably similar language, but the Allegro that opens this mature work has less of an overtly emotional feel, full of life and energy. There are some reflective passages, but this movement has predominantly more certainty, forcing ahead confidently. Again this duo provides some really fine playing, full of flair, with fine ensemble and colouring of textures. As the music suddenly recovers from a quiet pause, it drives forward to the conclusion. Emotion is certainly not lacking in the beautiful Andante which has a wistful melody that permeates the whole movement, with some lovely writing for the violin and piano, richly brought out in this performance. True to Sawyers’ musical language, the movement occasionally rises from wistful to passionate before returning to its origins. Louisa Stonehill provides some fine textures, gently coaxing subtle colours from her instrument. Equally fine is the contribution from Nicholas Burns who finds so much in the quiet moments. A little rising motif opens the Allegro finale that casts aside the melancholy of the Andante. There are many subtleties, nevertheless, in this movement, beautifully played by the duo. In some of the faster passages Sawyer presents his players with some technical challenges, resulting in some terrific playing. The theme from the Andante returns before the coda. For all its use of twelve tone writing, this work does not sound at all lacking in melody, let alone structural cohesion, showing just how fine and entrancing such a work can be. Both of Philip Sawyers’ Sonatas sit well with Elgar’s autumnal work, the Violin Sonata in E minor, Op.82 (1918). The Steinberg Duo throw themselves into the Allegro with real gusto and terrific use of rubato. As the music slows there is a lovely broadening out, so well highlighted by these players. It is their ability to show the intense passion and feeling set against quieter, subtler nuances that mark out this performance, revealing so many new facets to the Elgar. What fine playing there is as the music leads to the movement’s conclusion. Such perfectly turned inflections in the Romance: Andante show a wistfully playful nature I hadn’t really heard in this work before. The Steinberg Duo, at times, have the listener teetering on the edge of melancholy and joy. When they arrive at the rich re-statement of the theme, what wonderful playing there is, so sonorous and they provide a wistfully, delicate little conclusion to the movement. This duo takes us so naturally into the moderately paced opening to the Allegro non troppo, slowly building the dynamics and tempo. Soon the echoes of the second movement appear, yet Elgar seems to fight against the melancholy and thoughtfulness, with these players pointing up so finely the conflict of emotions before pushing the music ahead with some lovely playing, never missing any of the subtleties of emotional content. And as the music slowly turns from quietly wistful to a stronger, more resolute character, there is some truly fine playing. Those looking for a fine performance of the Elgar with an unusual yet extremely rewarding coupling should look to this new recording. The recording made at The Banff Centre, Banff, Alberta, Canada is excellent.